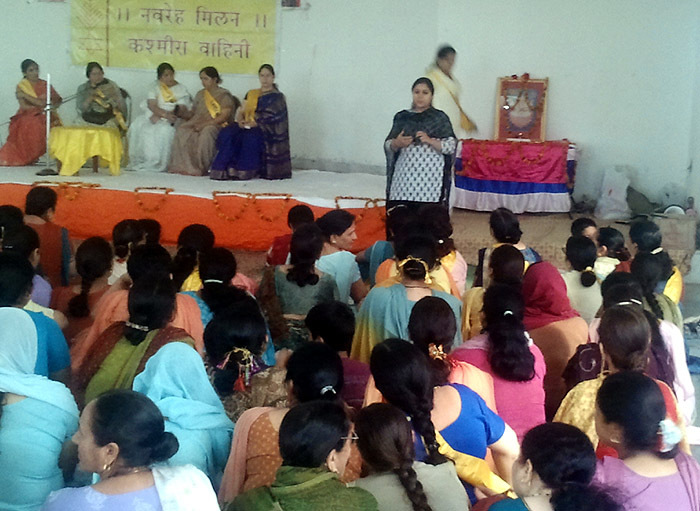 Navreh the new year of Kashmiri Hindus was celebrated with fervor and gaiety by Kashmira Vahini, women wing of Panun Kashmir. 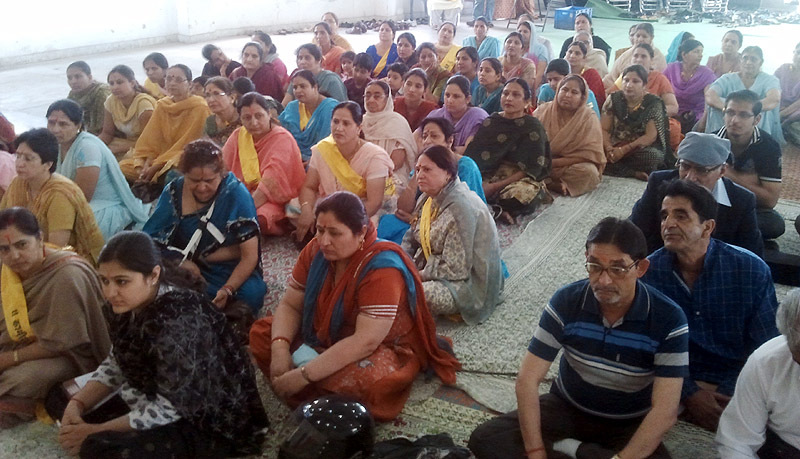 A cultural programme was celebrated at Surya Bhawan, Paloura in Jammu. Kashmira Vahini feels elated over the wonderful performance of Suresh Raina in Cricket World Cup-2011 victory and will felicitate him shortly. 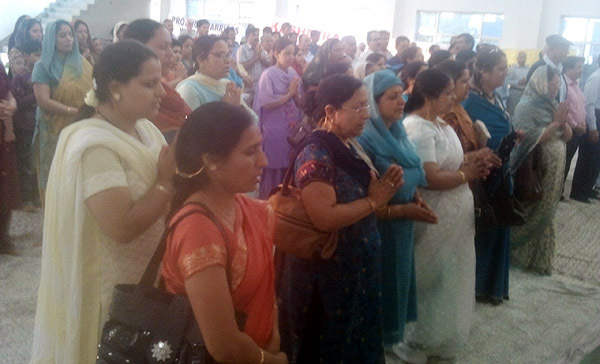 The programme started with Shankh Nad, hoisting of flag of kashmira vahini and puja archana of Goddess kashmira Devi. A panel discussion on the subject 'Kashmiri women of 21ist century: her role and challenges in shaping the future generation was the highlight of the program. 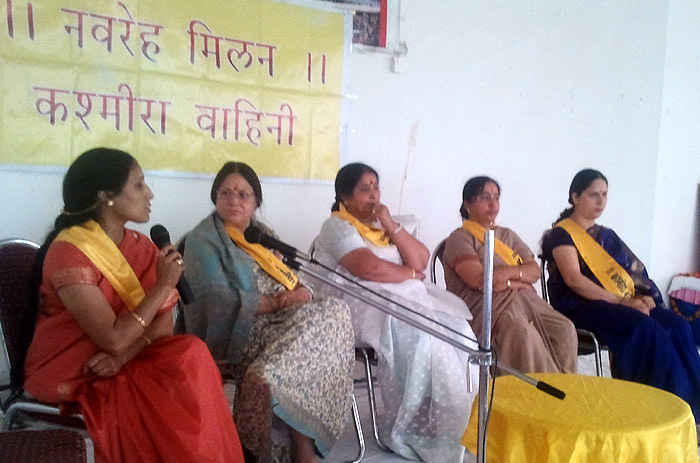 The speakers who participated in the discussion included Dr Khema Koul, Smt Sunita Santoshi, Smt Kirti Kalla .Smt Sudesha Koul, and Guddi Jogi and the discussion was anchored by Sonika Raina. On this occasion the panelists elucidated the role KP women have played in the fields of art, literature, culture, education, medicine, and social upliftment. The panelists opined that despite being subjected to genocide and exodus ,KP women have toiled hard in shaping the future of the new generation in exile. She has proved herself at all fronts. 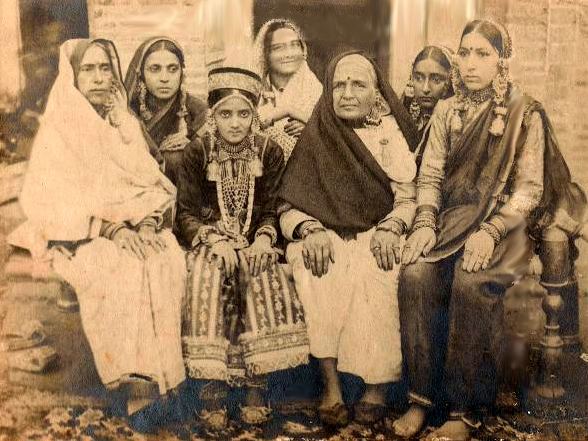 It was resolved by the panelists that KV will spare no effort in restoring the pristine glory of the community by inculcating the traditional values to our younger generation with a modern outlook and scientific temperament .Panelists impressed upon the women folk not to forget the collective insult which was heaped upon the community in exodus and in exile by the forces inimical to our existence and to fight for our geo political rights .Curbing the social evils, preserving the gene pool , strengthening our support structures were the issues that were debated by the panelists extensively. A musical concert by Ram Krishen Kitchloo , Mahraj krishen enthrall the audience at the venue The children performed to the delight of the audience .The violin recital of Karthik Kakroo, mimicry of child prodigy Sheen Musa ,recitation of Sanskrit sholokas by Megna Dhar.Aditi Raina presented erudite piece regarding the significance of Navreh,recitation was appreciated by the audience. 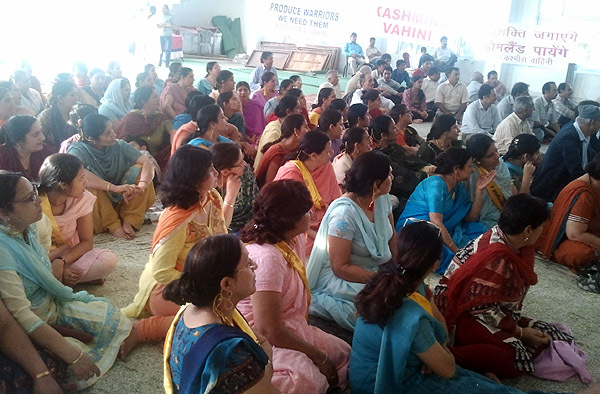 Dr Agnishekhar convenor Panun Kashmir lauded the efforts of kashmira Vahini in promoting the exile consciousness in exile. 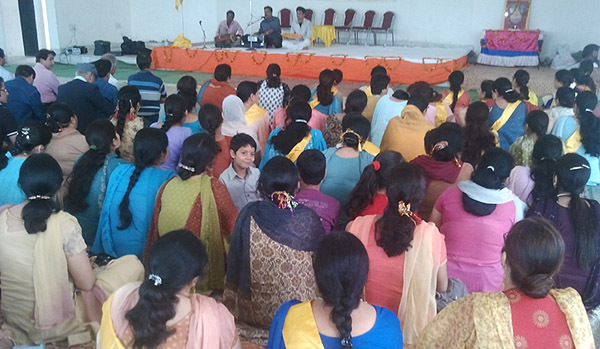 The other members who attended the program Gaytri Hashya,Neelam Kaul organizing secy, Vijay saproo.Sushma Reshi coordinator of the program thanked the participants.